Skeptics may sneer, but true Rolex enthusiasts will tell you that owning one can quite literally change your life. There’s no better example of this than George Lazenby, an underemployed Australian car salesman and male model who landed the role of James Bond in 1969. 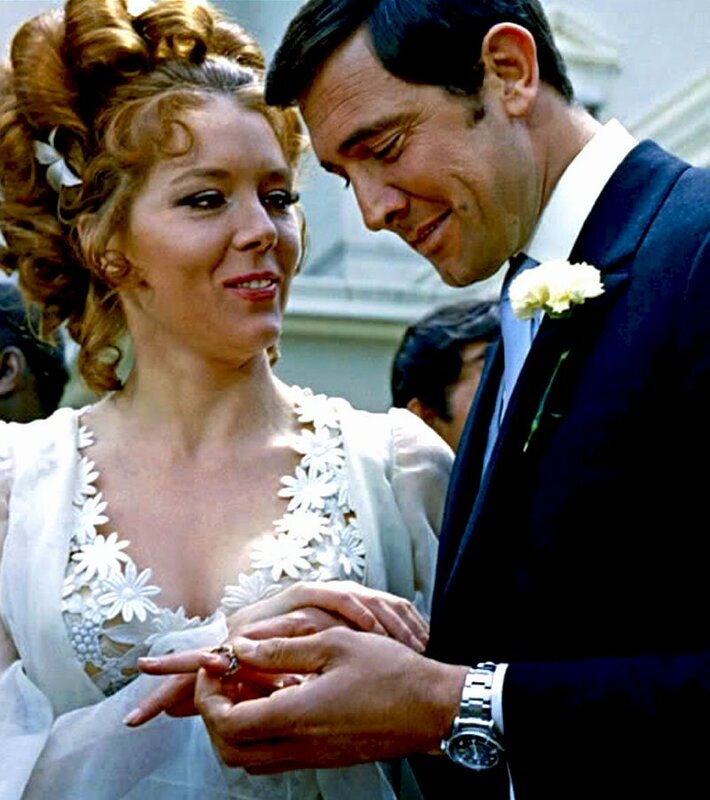 He replaced the great Sean Connery in On Her Majesty’s Secret Service, with help from a Rolex wristwatch. In the fall of 1968 Lazenby, having heard about the heated search to replace Connery, who was fed up with being Bond much like Daniel Craig is today, was desperately trying to get an interview with Bond series casting director Dyson Lovell. Not being part of the actor’s union, Lazenby couldn’t formally audition, Paste magazine relates. Lovell’s receptionist threw him out, but not before he got a glimpse at the other would-be Bonds in the waiting room. “I saw that they were all dressed like James Bond, and I was dressed like a Paris model,” Lazenby recounts, with longish hair and louche clothes. So the quick thinking Aussie immediately went round to purchase a stainless steel Rolex Submariner, a Savile Row-style suit, and had his hair cut short by Connery’s own barber. It no doubt wiped out his savings. Now looking every inch the British secret agent, he breezed past the receptionist and stood languidly at the door to Lovell’s office “with my Rolex showing,” Lazenby relates. Lovell happened to be on the phone at the time with Bond producer Harry Saltzman, who was chivvying him about finding a new 007. Lovell looked over at Lazenby- especially at his haircut, suit and Rolex highlighting handsome features- and not long afterwards, the role was his. 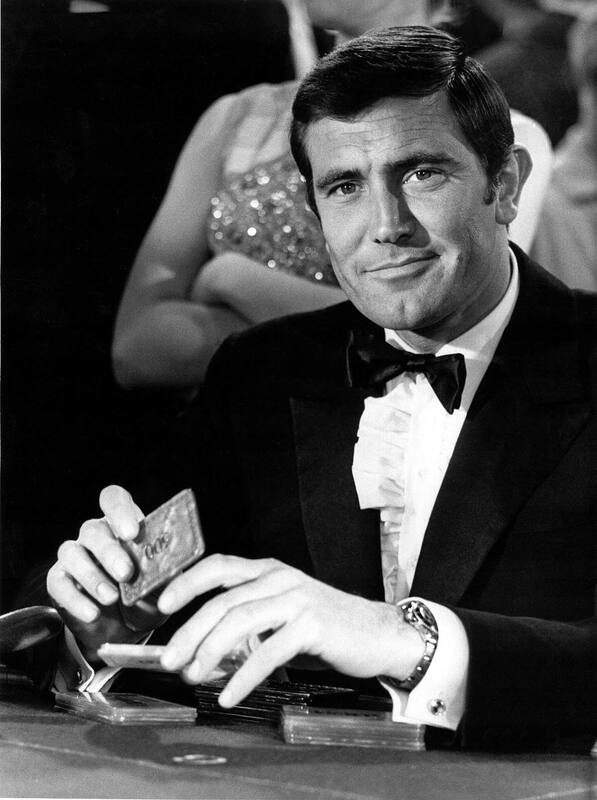 As Bond on screen in On Her Majesty’s Secret Service, Lazenby sported both the Submariner and another Rolex, one of the most interesting models in the franchise’s history: a vintage stainless steel chronograph Ref. 6238. It was originally purchased for the film by Eon Productions at Bucherer Jewelers in Interlaken, Switzerland in 1968. In the movie, Q Branch fits it with a compass function using the red seconds hand to indicate direction. Incredibly, the watch languished in a Beverly Hills pawn shop for several years before it was auctioned off by Paris-based Artcurial in 2016, after which it disappeared from view, no doubt into some well-guarded private collection – perhaps even Rolex’s own archive. Though never as popular as Connery and later Roger Moore’s James Bond Submariners, the Ref. 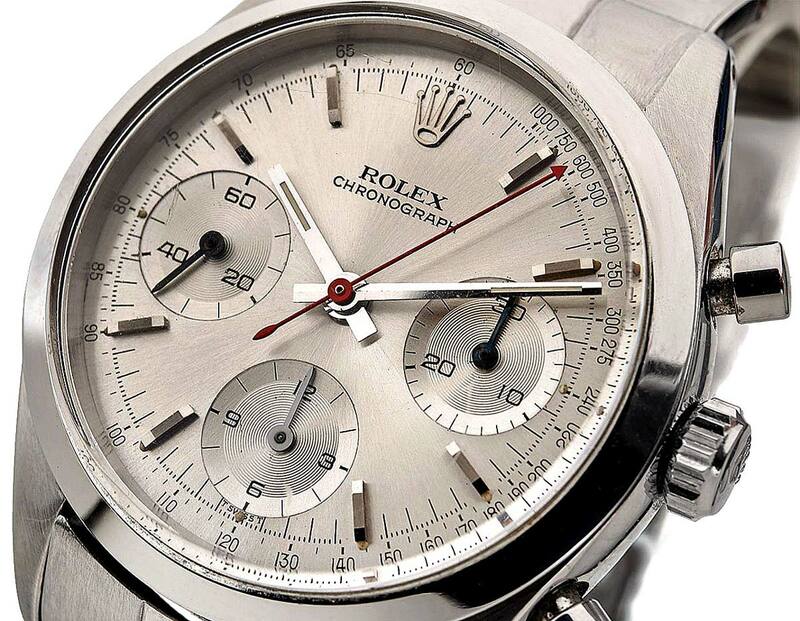 6238 is a gorgeous piece made all the more important given that it’s the only Rolex chronograph ever to appear in the series.